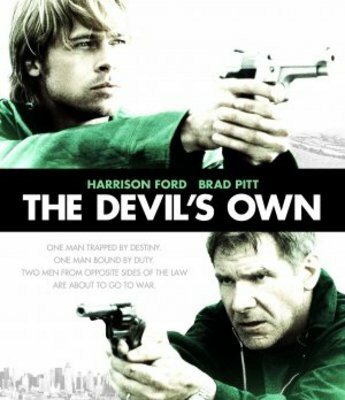 Brief Synopsis – A fugitive IRA terrorist travels to America and stays in the house of an Irish-American police officer who doesn’t know his identity. My Take on it – This is one of those unfortunate films that has a great general premise, but the writing is so bad that we end up no caring about anything. Harrison Ford and Brad Pitt are both very talented actors but when they both aren’t given enough to do, something is clearly wrong here. The plot itself is so convoluted that it leaves so many questions unanswered and the story seems to jump around far too much. The idea to make the viewer sympathize with both characters is fine up until we need to make the choice between the two and due to the poor development of the characters, we end up not really caring. What is real unfortunate about this film is that buried deep down there is a great story within but it just isn’t able to make it to the surface and instead we get a confusing and convoluted film that just doesn’t work. Bottom Line – Great premise that fails miserably. Ford and Pitt are both fine here but the plot leaves too many questions and loses its way so many times. The idea to make the viewer sympathize with both characters makes things both interested yet completely confusing since neither character is developed well enough for us to care. There is a great story buried deep inside this film but it just isn’t able to make it out for us to enjoy it.